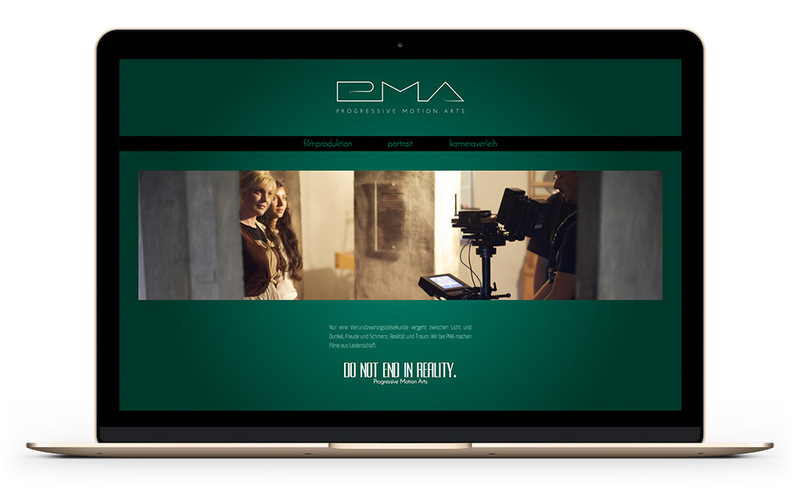 PMA Film is a film production label founded by four young people including me in 2007. 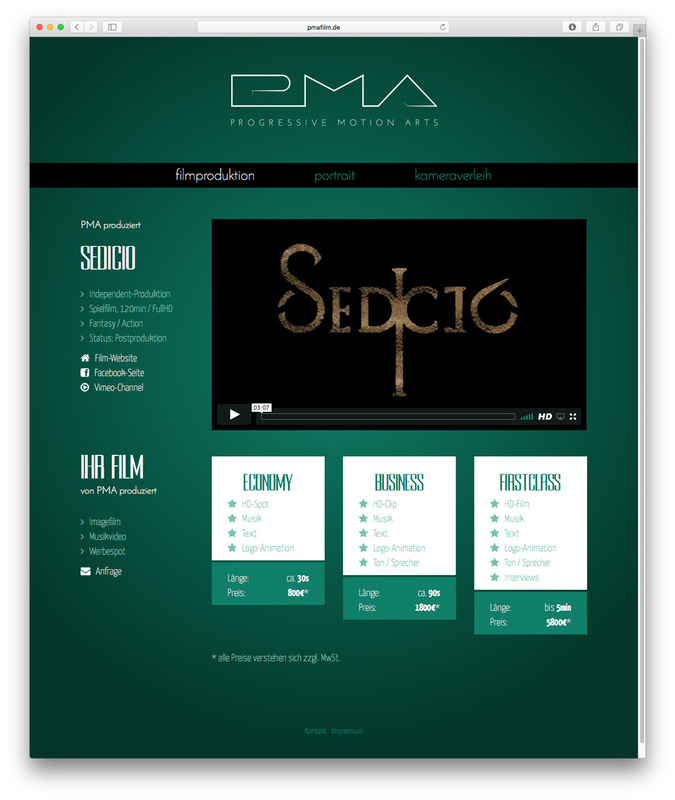 We mainly work on our feature film "Sedicio" and aim at finishing it in Late 2019. Because we are in post production now, we started renting out our film equipment to other filmmakers. 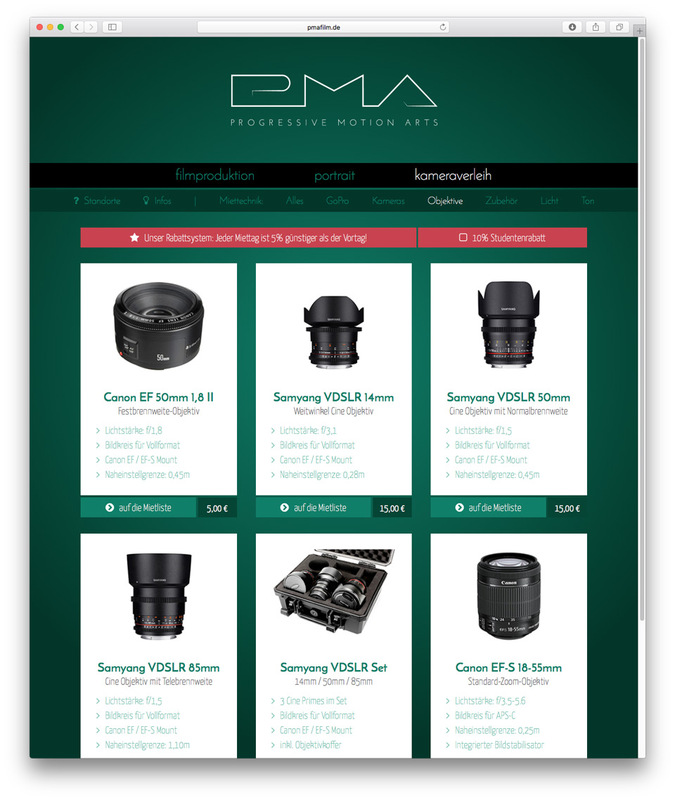 Therefore we needed a new website and so I made one. 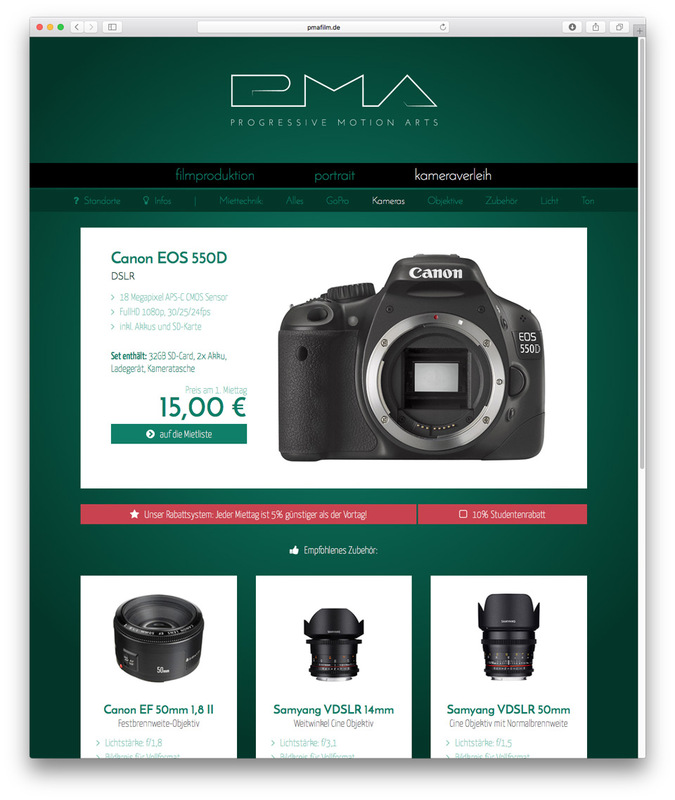 pmafilm.de now combines our company profile with an online rental station.